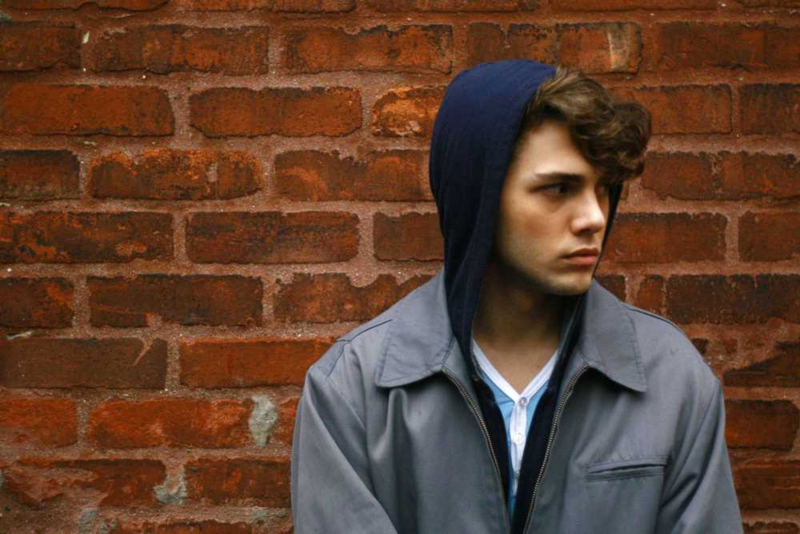 Since winning the Jury Prize at Cannes this past year, you’d think Xavier Dolan would be happy to take a break. After all, the 25-year-old French-Canadian, whose latest endeavor “Mommy” is finally making its way stateside after garnering raves and becoming a box office success in Canada, has written and directed five films since turning 19; he’s starred in a couple as well. But, it looks like he has no plans to stop. “Mommy,” which opens in the U.S. on January 23, explores at the relationship between a struggling, widowed mother (Anne Dorval), her volatile son (Antoine-Olivier Pilon) and a neighbor (Suzanne Clément) who is eager to help. In honor of its release, Indiewire sat down with Dolan to not only discuss the film, but also his next project, the English-language “The Death and Life of John F. Donovan” (starring Kit Harrington, Jessica Chastain, Susan Sarandon and Kathy Bates), his creative process and what he finds so problematic about labels. I’ve heard you speak about your age and how that puts you in a situation where you have to fight for credibility. And that’s an inevitable downside. But on the upside, do you think that because you are so young you are able to tackle issues that are so generation specific? I don’t know. Is living with an ADHD son and being a single widowed mother of 45 years-old and fighting for your job a specifically generational issue? It’s just that I don’t feel at all that I’ve been focusing on generational problems. I’ve always talked about people who are twice my age, except in my first film where I was myself, I guess. It was pretty autobiographical. But I don’t think my age defines my preoccupations and my priorities and my style. I just figured that a lot of the relationships, in your first film and this one, there’s a dynamic that didn’t exist before. Well, I don’t know. Is it a whole generation that is bringing that or is it my own individual path as a human being? It’s just that I don’t believe in generational cinema. Or generations and age and school of thoughts. We are all different human beings and we all have different backgrounds and we stem from different social strata. That is what defines how you hear people talk, how you want to quote them when you speak. We all have different fears and doubts and complexes and this is what shapes the way we see other people. Especially characters. I don’t think the way I portray mother’s and son’s relationships has anything to do with my age or generation. It has to do with what I lived with my own mother and what it’s transformed into and the point of view it has given me on mothers and women. The way I was brought up with women. It’s all about personal background. At least that’s my point of view for me. Maybe someone else from a generation will tell you differently. We are all different and we all think differently. I don’t want to be political when I’m telling you this. I guess this perspective allows you to create something more timeless? If it’s timeless then I’m lucky and I’ll be very grateful. If it’s aged in two years I’ll be very disappointed, but I’ll keep making other ones. Over the past couple of years you’ve emerged as sort of a queer icon with a substantial fan base. Do you find that there is more responsibility as a younger celebrity to engage with your audience and the public? Are you more hyperaware of public reception too? No. The only thing that I’m trying to do as someone whose voice would maybe stand out within in a very specific community, because I don’t think I’m famous or whatever. Not yet, not in that way. I’m just trying to blur this very clear line we’ve drawn and are drawing over and over and over again between communities. Saying those are queer films and those are films. I would love for that line to disappear. For that frontier to be abolished once and for all. I would love to stop putting names on things and claiming things. There is a lot of work to be done, let’s be honest. I am queer, but the films are for everyone to see. I don’t think I can help a kid in Texas or in Utah or Colorado or Idaho or Ohio who is struggling with his identity, as a queer filmmaker. Or because my films have been, what, labeled as queer? He’ll go and google “queer films?” I doubt he will ever do that and if he does he’ll probably end up hearing about me. But what I’m trying to do because I feel pretty helpless with that, with those cases and those kids out there, what I’m trying to do on the other hand is to widen the minds of people who think in a more narrow way of homosexuality by trying to depict and illustrate relationships between men as not the central narrative, theme or line of the film. And making it secondary. Making it not unimportant, but not stressing. And with these tags and labels are achieving is exactly the opposite of what I’m trying to do. I’m trying to incorporate it in people’s minds and societies imagination that it is normal and doesn’t need to be named. Not out of shame or because I’m cool, but this is not where we are at anymore. At least not in these cinematic circles where people can see these films. Does that make sense? Which is not what it is at all. Which is not what the film is about. At all. This is a lie. It’s a fraud. It’s preposterous. The movie is about a kid who is at odds with his mother not at all because he is gay, but because they are incompatible. Completely. They just have nothing in common and he hates her. And he hates himself. But homosexuality is a completely irrelevant variable in the equation. Do you want to see the labels collapse when you read criticism of your work? I just want to improve. It will be challenging. It will hurt my feelings probably, but I don’t know if that’s bad at all. We are definitely interested here in your next project, which I’m sure everyone is because it’s a completely different thing for you. At least in terms of the language and the audience you’re gonna reach. And I’m very enthusiastic about it. In “Mommy,” for example, the dialogue is just so sharp. Did you struggle with that writing in English? I don’t. Sometimes I find it tiresome to write actions and describe the scene in a very intricate way so that every crew member understands where we are going–that I can find a little bit long and tiresome. But dialogue is just all my life. There’s no way I could ever be challenged, not challenged, but I’m always so happy to write dialogue. It’s so natural for me. I love it. It’s how I talk. I’m not afraid anything will get lost in translation. At least I hope so. You’ll tell me. At a recent screening of “A Most Violent Year,” Jessica Chastain’s new movie, she mentioned that you are her spirit animal. Yeah. She was speaking about you representing underrepresented people in film. I’ve been meaning to ask, and I can’t believe I haven’t looked it up already, but what exactly is a spirit animal? The animal you kind of identify with in a sort of way. So what’s it an expression to say? That you guys are close and share a connection. Ha. No problem. Now that you’re working together, can you tell me a bit about your relationship? Jessica is extremely kind and a beautiful person in every possible meaning of the word. She’s generous, intelligent, she’s a sort of an angel. She really is. And there’s nothing more to say. She’s also incredibly intelligent and inspiring. She’s creative and seeking collaborations and is excited by talent and other people’s talent. Other actors. She’s authentic and witty and funny. Yeah. I’m considering going straight. Indiewire has partnered with Time Warner Cable Movies On Demand for May’s Indie Film Month. Enjoy exceptionally creative and uniquely entertaining new Indie releases (“Still Alice,”“Lost River,” “Maggie,” Good Kill,” and more) all month long on Time Warner Cable Movies On Demand. Go HERE daily for movie reviews, interviews, and exclusive footage of the suggested TWC movie of the day and catch the best Indie titles on TWC Movies On Demand.